Seven years ago I wrote about the kindness of a genealogist from across the country that sent me the long-lost Bible and four journals of my 1st cousin, Ransom Ferdinand Smith (1864-1940), who lived in Woodstock, New Hampshire. 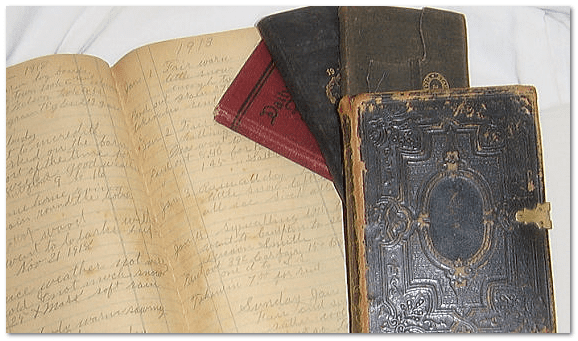 Photo: Ransom Smith’s Bible and journals. Source: Thomas Jay Kemp. Today I received two of Ransom Smith’s diaries and a small book that he received as a Christmas gift in 1879. 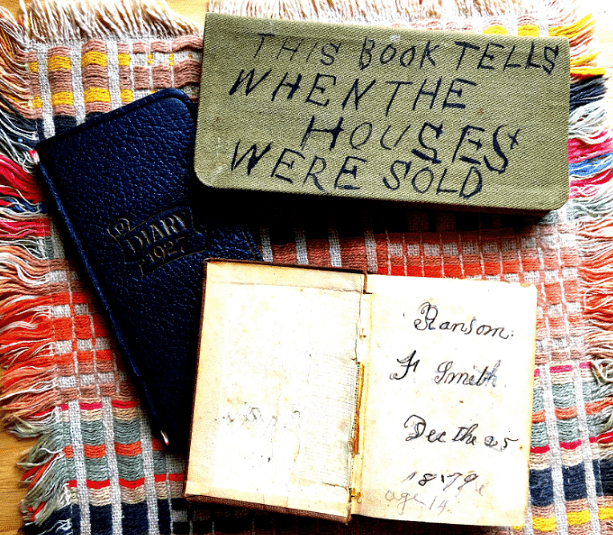 Photo: two of Ransom Smith’s diaries and a book he received as a Christmas present. Credit: Thomas Jay Kemp. Wow. Very kind of her to send these to us. And look at these details, from his October 1927 diary. 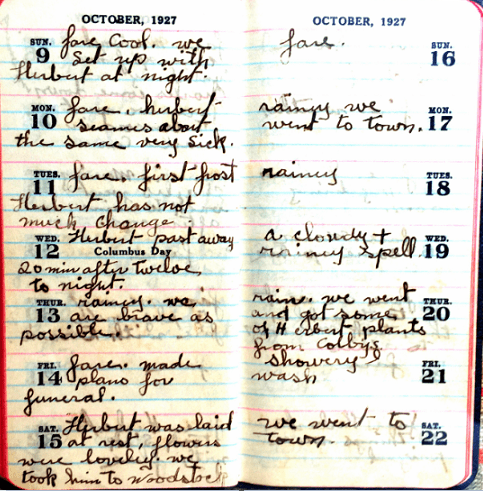 Photo: Ransom Smith’s diary, showing entries from October 1927. Source: Thomas Jay Kemp. Herbert was their son, Alfred Herbert Smith (1897-1927). So, they called him Herbert. He was buried in Woodstock Cemetery in Woodstock, New Hampshire. But for the kindness of another, we would not have these diaries. It’s a great day for genealogy! Awesome! I have seen so many family Bibles with so much information going for extremely high prices on eBay, etc. It’s a shame they aren’t going back to the families that they were from. I think it’s awesome that someone had the kindness to do this.